← [Gift] The moderators celebrate Christmas with you! We will soon say goodbye to the year 2017, an opportunity to celebrate the change of year! For this big occasion, your doll must be the most beautiful and glamour! 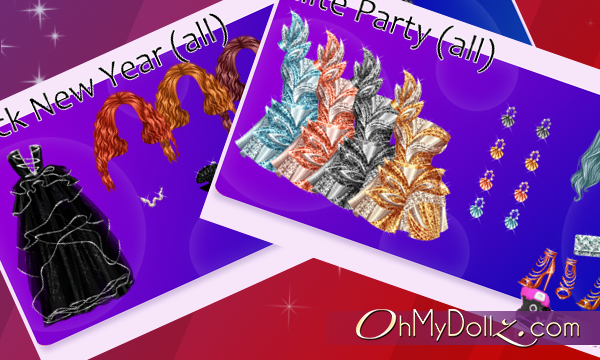 Until Friday, we offer you to discover numerous packs containing evening dresses. These outfits are from the Elite Dollz game, unreleased on OhMyDollz. Take advantage of these packs until Friday, December 29th 2017 at 11:59pm (Paris hour).